A basic woodland pattern with alternate sassy colors. Color me not impressed. 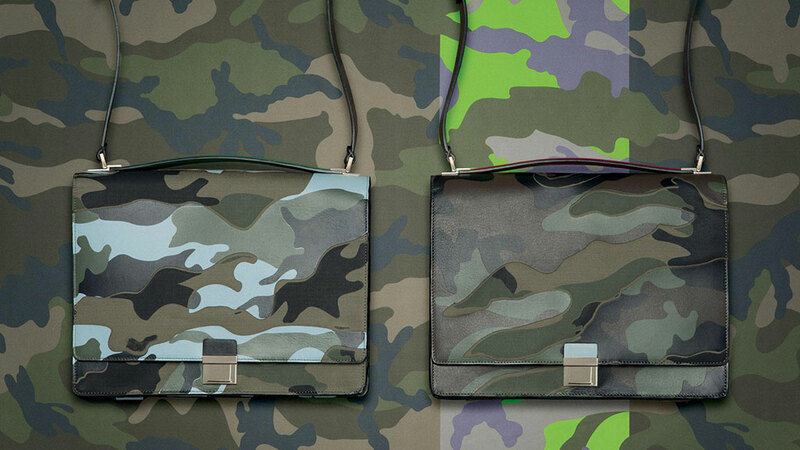 Head over to the Valentino website to see the full Camupsychedelic lineup. 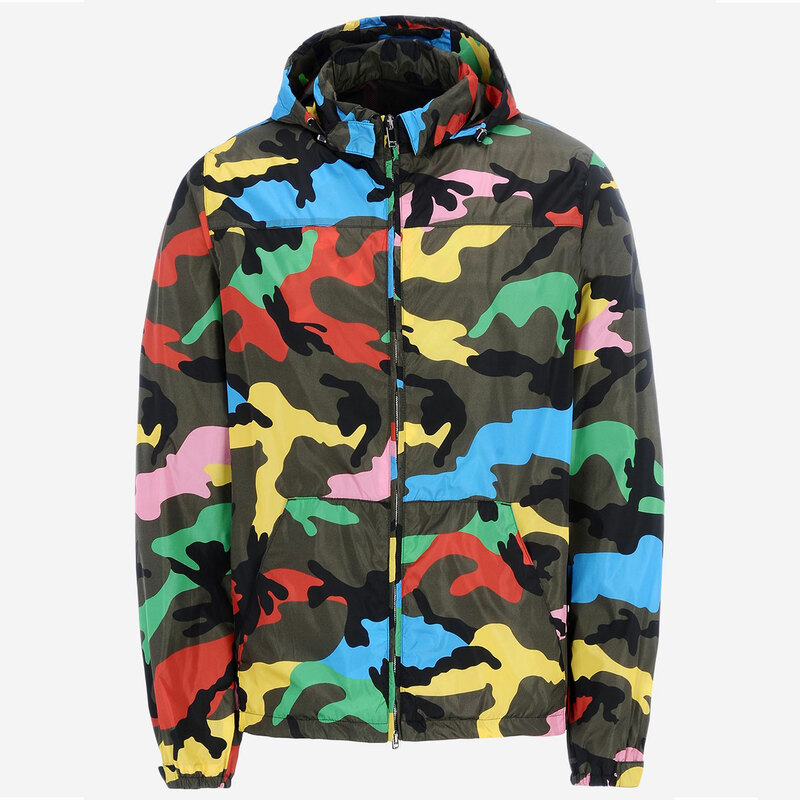 Pictured above is the $1590 nylon windbreaker. 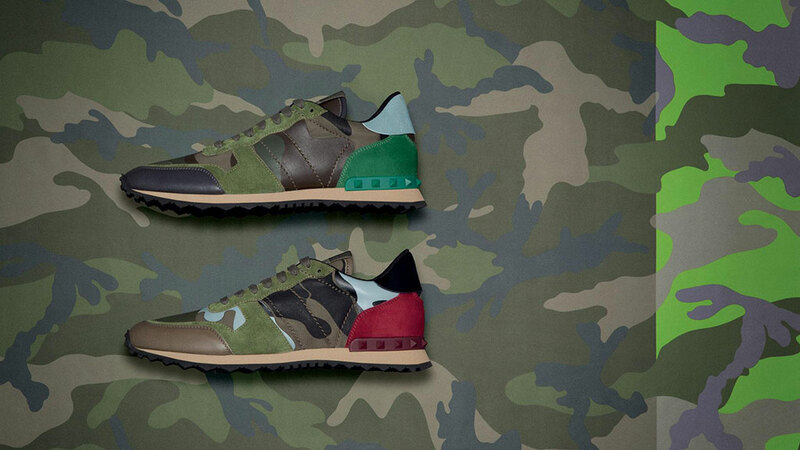 The Italian luxury brand goes full woodland. 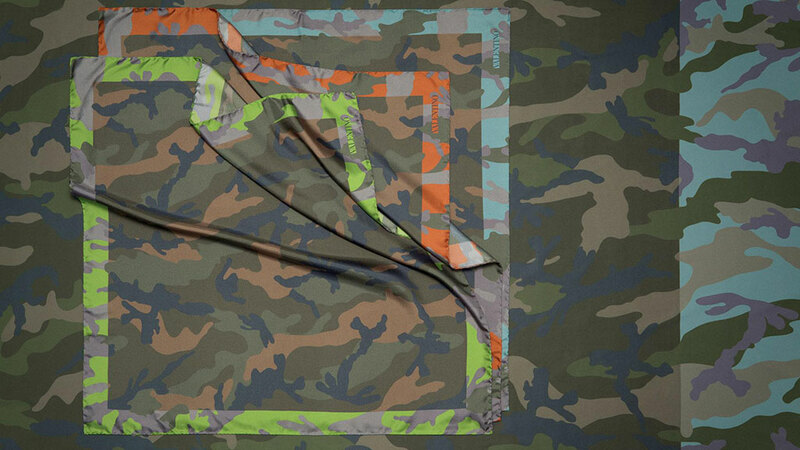 The above promo video was from their launch of the collection at their Milan store. 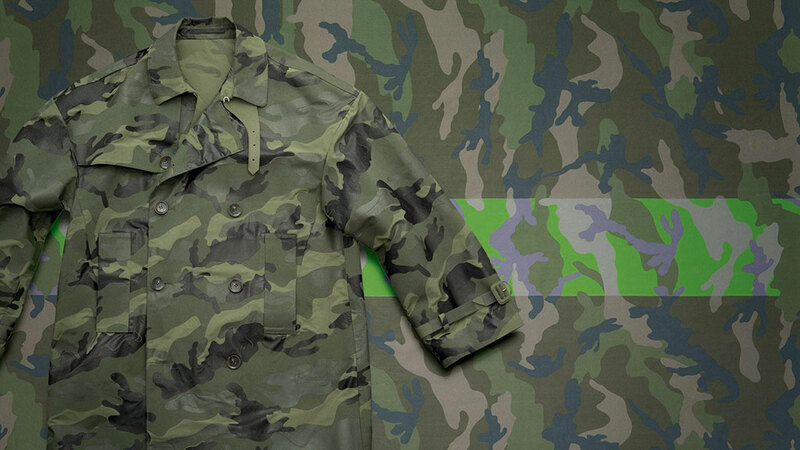 You may recognize Chinese artist Liu Bolin, as the guy getting painted to become “invisible”. That is his claim to fame, and some of the pictures are actually really neat. Two jackets, a sweater, and a t-shirt are already available for purchase on the Valentino website. 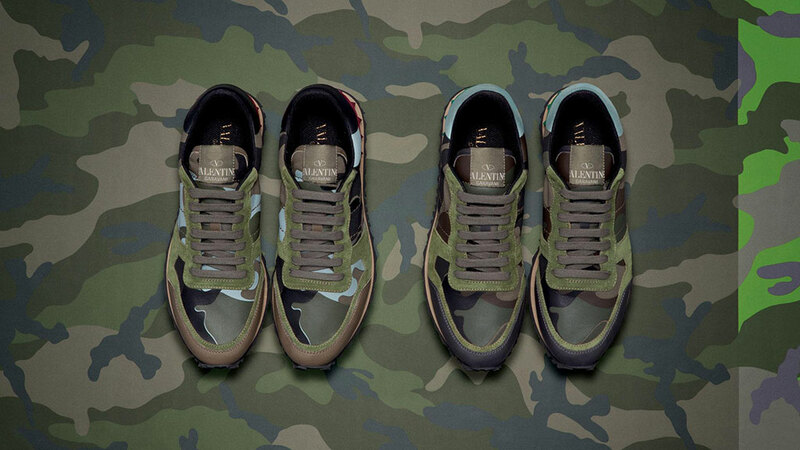 In true Valentino fashion though they are $2880, $1595, $990, and $325 respectively; take a look for yourself. The one sweater and the one jacket are alright looking, but what’s up with the neon stripe at the bottom of the other jacket and the t-shirt? Reminds me of the reflective belts USAF have to wear with their uniform. I like the jacket, and the shoes look “alright”. 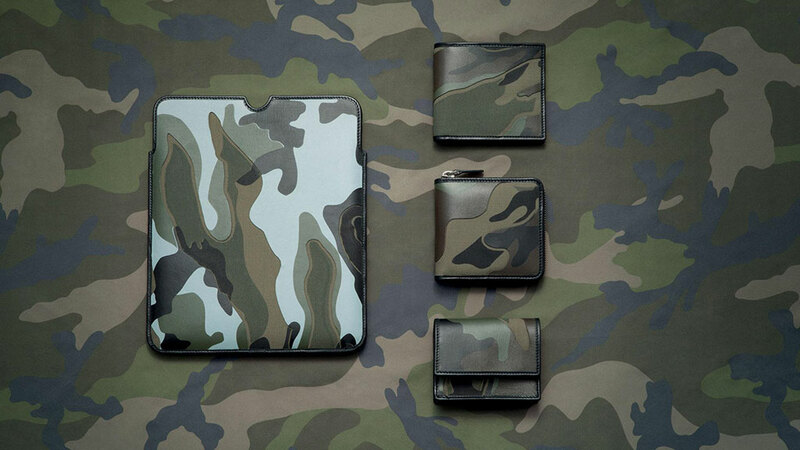 What really caught my eye was the cloth/leather combination used on the cases and wallets… interesting how they carried the pattern through the materials. That scarf would look alright on a girl too, so I’m not mad at it.